Pope Francis’ recent visit to Africa continues to prompt dialogue. Despite continued instability and outbreaks of violence in Congo’s neighboring country, the Central African Republic, the Vatican announced Pope Francis would spend about 33 hours in the country. What could anyone accomplish in 33 hours, we asked? Countries in central Africa, such as C.A.R. and DR-Congo, require time to understand their complexities, the wake of their troubled colonial histories, their poor public policies, government corruption, exploitation of the poor, and justice issues. This requires meetings with influential leaders and decision makers, those who can make change. This is the pattern we are accustomed to expect from our western leaders. Pope Francis has been criticized for not using his position of power and influence in this trip, to meet with those who can levy change. Instead, he visited a refugee camp, held a meeting with evangelical Christians and visited a mosque. “Pope Francis did not set out to work miracles but rather to set an example,” notes Daniel Pelz, writer for German-based Deutsch international broadcast service. As become the pattern of his international trips, the Pope has invested his time in the “least of these” signifying his ultimate value for the marginalized and the voiceless, those whom we typically do not see especially during the visit of a dignitary. The buzz about Pope Francis is rolling like a giant tidal wave of social revival throughout our country, even for our Protestant communities. Pope Francis is giving power to the poor. How do developing world countries typically prepare for visiting dignitaries? Slums are leveled by trucks and tanks. The homeless are rounded up and relocated outside of the city. Walls are painted. Streets are cleaned. Life if purified. But Francis wanted to demonstrate that the marginalized belong here, are loved by God and their suffering cannot be ignored. Equality in Christ is one of the great major themes of the Bible. We all are created in the image of God. We all are one with God. God knows every hair on every head, that is, every head. Jesus’ ministry is deeply rooted and invested in the poor noting their equality amongst all. Jesus’ example is ours to follow. In today’s world, Pope Francis, arguably the most powerful person in the church, is an example to follow. At PCP, we seek to be an example to follow. At our spring board meeting, “Equality in Christ” was chosen as one of five key principles to guide the PCP ministry, and is a value that distinguishes us. At first glance, this statement may seem nothing unusual. Belief in equality seems pretty straightforward. But it is how one acts on such a principle that distinguishes us. It marks the character of who we are. PCP is dedicated to empowering the local leadership, decision-making and entrepreneurialism of the Congolese. We work with some extraordinary people, who albeit are poor, but inspire us by their grit and capability to change their life circumstances. But they cannot do this alone. They need someone to come alongside them. Pope Francis did not try to be anyone’s savior, “rather…he wanted to highlight the people of Kenya and C.A.R. that they have to solve their problems themselves.” Hallelujah! Amen! Thank you Pope Francis for this essential life-giving approach. For if we in the West retain the problem-solving function, and do not empower the poor to solve their own problems, change cannot happen. 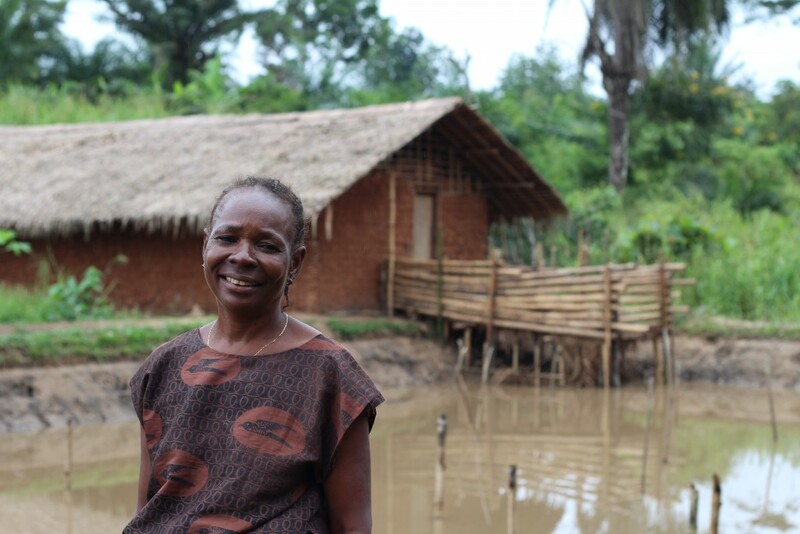 Thank you for joining PCP to invest in the people of Congo.